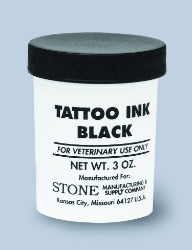 TATTOO INK, BLACK 3 OZ. Produces crisp, permanent tattoo marks. Indelible black.